Situated in the small town of Lavendon in Buckinghamshire, Tusting is a British label run by William and Alistair Tusting, men whose great, great-grandfather founded the company back in 1875. First a tannery supplying leather to the shoe industry, the company now makes some of the most luxurious bags and accessories on the market. Many of Tusting’s employees have generations of company workers in the family. It’s the type of place where tradition and loyalty are valued over the bottom line; their ethics and generosity shine through in their products. This approach has worked well, the quality of their product speaks for itself and they have made their first venture overseas with a new store in China. Ultimately, Tusting’s hometown ethos and sense of community sustain the business. The company has experienced success throughout the generations, by ensuring their customers play a central role in their operations. “We wanted Tusting to be a brand that customers love and trust. They are at the core of our community,” says co-owner Alistair Tusting. This attitude, perhaps as much as their dedication to their craft, has helped them gain an edge in the competitive world of luxury handbags. 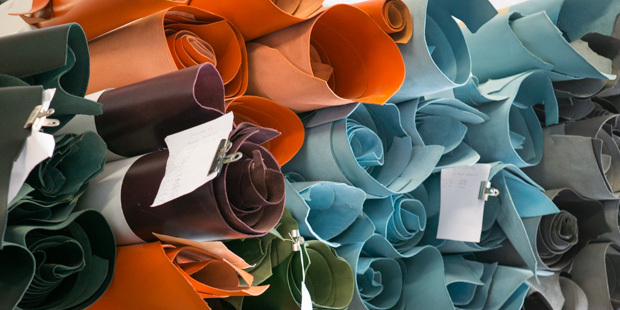 25 years ago, Tusting began applying their leathermaking expertise to luxury bags. Their collection has evolved rapidly over the years, to include a premium selection of handbags, briefcases, travel bags, totes, satchels and rucksacks. Having partnered with brands such as Aston Martin and Church’s, they tailor the finest materials using traditional techniques, to meet the needs of modern accessories. 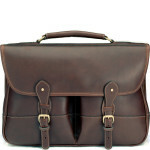 The Clipper Satchel, a 15-inch laptop bag, is one of the original Tusting bags and still a best seller. Tusting leathers are hand-finished with waxes and dyes that help to improve their texture and feel, whilst highlighting the exquisite subtleties and nuances of the hides. Each hide is carefully chosen for the specific product, from soft and lightweight calf’s hide to crazyhorse leather with a distinct appearance and a tough finish. For some pieces, they also use premium fabrics. These include stain-resistant cotton canvas, suitable for heavy-duty travel, and eco-friendly tweed for a luxury finish. 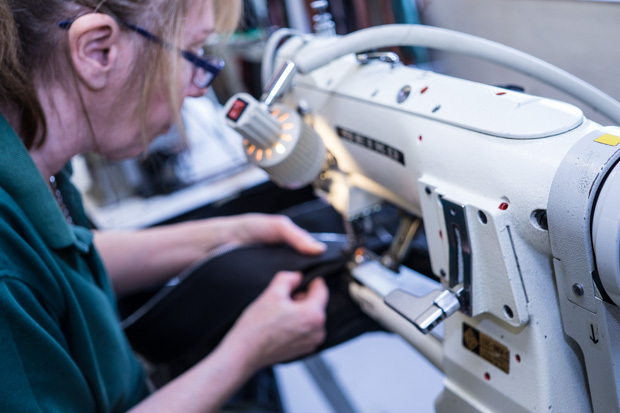 Their linings, which are handpicked to suit the contents and purpose of the bag, are combined with the highest quality fittings from RiRi to ensure that every product is as handsome and durable as possible. 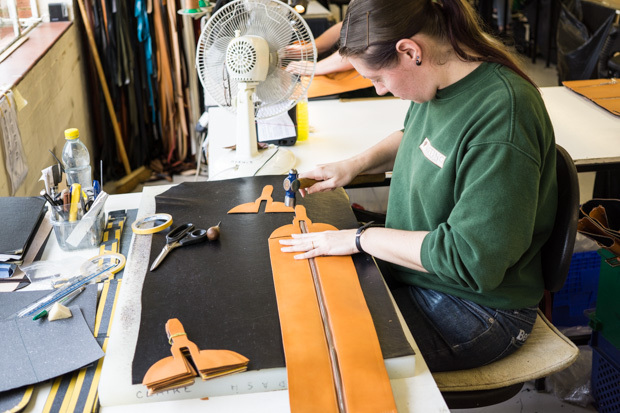 Passion and attention to detail are reflected in every one of Tusting’s handmade bags. An English brand that brings traditional craftsmanship into the 21st century, it’s no wonder their luxury accessories have gained a prestigious reputation worldwide.